This is not new news, but today is the official start date for the court battle between MillerCoors and Pabst Brewing Co. over their “contract” for contract brewing. In its $400 million lawsuit against MillerCoors, Pabst Brewing seeks to A) get paid and B) negotiate an extension of its contract brewing arrangement with MillerCoors, which expires in 2020. The arrangement, which goes back to 1999, is essential for Pabst’s cheap beer nostalgia brands (Pabst, Old Milwaukee, Long Star, Schlitz, Col 45, Stroh’s, Schmidt’s, Blatz, etc.) to continue to exist, as MillerCoors is the only company big enough to brew Pabst’s 4 million to 4.5 million bbls, says Pabst leadership. Pabst’s attorneys have said in court documents and hearings that MillerCoors LLC is lying about its brewing capacity to break away from Pabst and capture its share of the cheap beer market by disrupting Pabst’s ability to compete. At a March hearing in which MillerCoors tried to have the lawsuit dismissed, Pabst attorney Adam Paris said “stunning documents” obtained from MillerCoors show that it went as far as hiring a consultant to “figure out ways to get rid of us.” MillerCoors has called that a mischaracterization of the consultant’s work. The 1999 agreement between MillerCoors and Pabst, which was founded in Milwaukee in 1844 but is now headquartered in Los Angeles, expires in 2020 but provides for two possible five-year extensions. 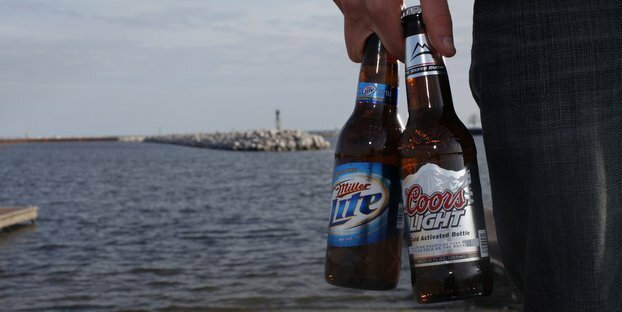 The companies dispute how the extensions should be negotiated: MillerCoors argues that it has sole discretion to determine whether it can continue brewing for Pabst, whereas Pabst says the companies must work “in good faith” to find a solution if Pabst wants to extend the agreement but MillerCoors lacks the capacity. Pabst is seeking some $400 million in damages and for MillerCoors to honor its contract. Plus, we’ll all be losers if we can’t get our fill of Natty Boh.